A Supreme Court Bench comprising Justice T.S. 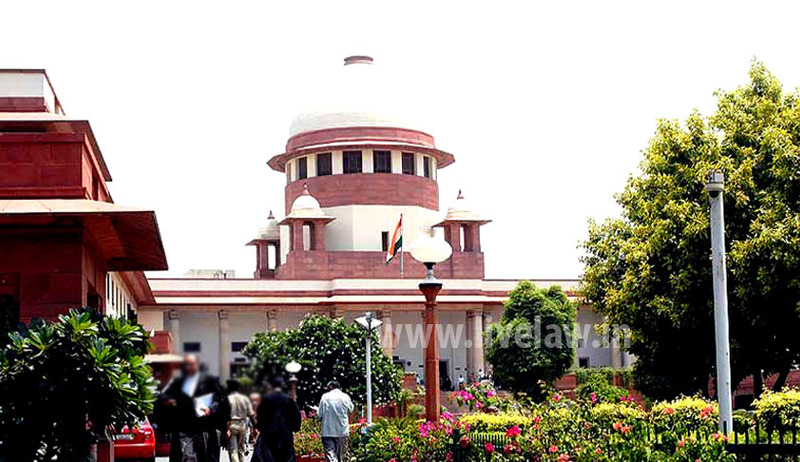 Thakur and Justice Amitava Roy, in a recent decision in the case of Nanjappa v. State of Karnataka has held that a Trial of Public Servant with Invalid Sanction is Null and void and Non-est. In such cases, second Trial is permissible with Valid Sanction. The Court was hearing an Appeal filed against a judgment passed by the Karnataka High Court at Bangalore. The High Court had convicted Mr. Nanjappa, the appellant through this order, under Sections 7 and 13 read with Section 13(2) of the Prevention of Corruption Act, 1988. Nanjappa had allegedly demanded a bribe of Rs. 500 from the complainant for issue of a copy of a certain resolution dated 13th March, 1998 passed by the Sabbanakruppe Grama Panchayath. He was caught red-handed by the Lokayukta Police. The Trial Court however, held that the prosecution had failed to prove the charges framed against the appellant and accordingly acquitted him of the same. The High Court allowed the State’s appeal and convicted Mr. Nanjappa. The High Court held that since the validity of the sanction order was not questioned at the appropriate stage, the appellant was not entitled to raise the same at the conclusion of the trial. The core issue to be considered by the Supreme Court was whether in the absence of a valid previous sanction required under Section 19 of the Prevention of Corruption Act, the trial Court was not competent to take cognizance of the offence alleged against the appellant. The Court observed that the question, regarding validity of a sanction for taking cognizance of the complaint against a public servant, can be raised at any stage of the proceedings. “In case the sanction is found to be invalid the court can discharge the accused relegating the parties to a stage where the competent authority may grant a fresh sanction for prosecution in accordance with law. If the trial Court proceeds, despite the invalidity attached to the sanction order, the same shall be deemed to be non-est in the eyes of law and shall not forbid a second trial for the same offences, upon grant of a valid sanction for such prosecution,” the Court observed. The Apex Court noted that in the case at hand, the Special Court not only entertained the contention urged on behalf of the accused about the invalidity of the order of sanction but found that the authority issuing the said order was incompetent to grant sanction. The Court however committed an error by recording an order of acquittal on the merits of the case, instead of discharging the accused.